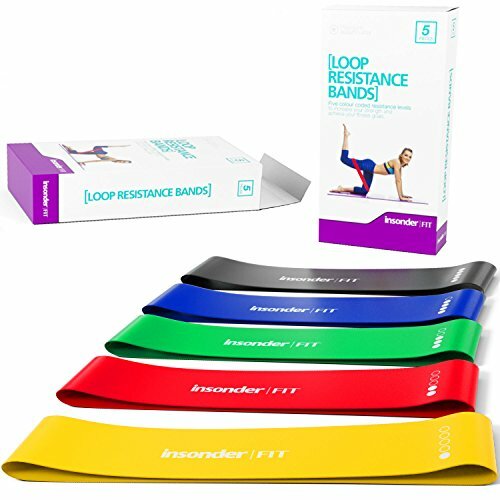 5 PREMIUM QUALITY LOOP RESISTANCE BANDS: This set contains 5 Loop Resistance Bands of 12" by 2". For each exercise you can choose 1 of our 5 color coded Bands for different stretch levels: Extra Light, Light, Medium, Heavy and Extra Heavy. The Loop Resistance Bands are made of premium and eco-friendly latex which is durable, elastic and has a great feel. They are built to last!